Jeff Swensen/Getty ImagesHillary Clinton in Pennsylvania on Tuesday. 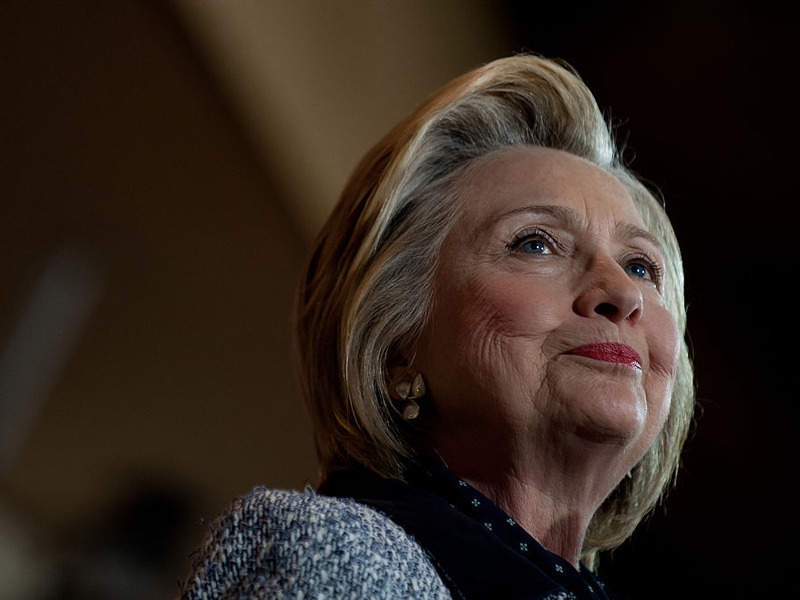 Hillary Clinton took a commanding lead over Donald Trump in a new national poll on Tuesday. A new Bloomberg Politics poll, conducted by notable pollster Ann Selzer, showed Clinton with a 12-point lead over her Republican rival, garnering 49% support to Trump’s 37% support. Though Clinton’s lead comes just weeks after polls showed that the two presumptive nominees are running virtually tied in hypothetical general-election matchups, it didn’t come as a complete shock to some observers. After contentious primaries, candidates typically receive a bump in their support in polls after securing their party’s nomination. Trump experienced a boost in his support among Republicans after his Republican rivals dropped out following the Indiana primary. Trump fared well in at least one area: national security. The poll shows that a majority of voters have more confidence in Trump to handle situations similar to the terrorist shooting in Orlando, Florida, on Sunday that left at least 49 people dead. Some political observers speculated that the shooting could benefit Trump, who has experienced a surge in polls after suggesting that the US should bar all Muslims from entering the US in the wake of a terrorist attack in San Bernardino, California. Indeed, a Reuters poll released on Tuesday found Clinton with an 11.6-point lead over Trump, down slightly from the 13-point lead she had in several previous days leading up to the attack. Still, the results of Tuesday’s poll show that the attack in Orlando was not nearly enough to put a dent in the former secretary of state’s lead. Trump’s insinuation that President Barack Obama sympathized with the Orlando attacker was met with 61% disapproval, while 64% of survey respondents expected him to say more inflammatory statements that would upset Republicans. The Bloomberg poll was the second survey on Tuesday to show Clinton with a commanding lead. An NBC/SurveyMonkey weekly tracking poll released on Tuesday morning showed Clinton with a seven-point lead over Trump, a four-point bump over NBC’s tracking poll two weeks ago.